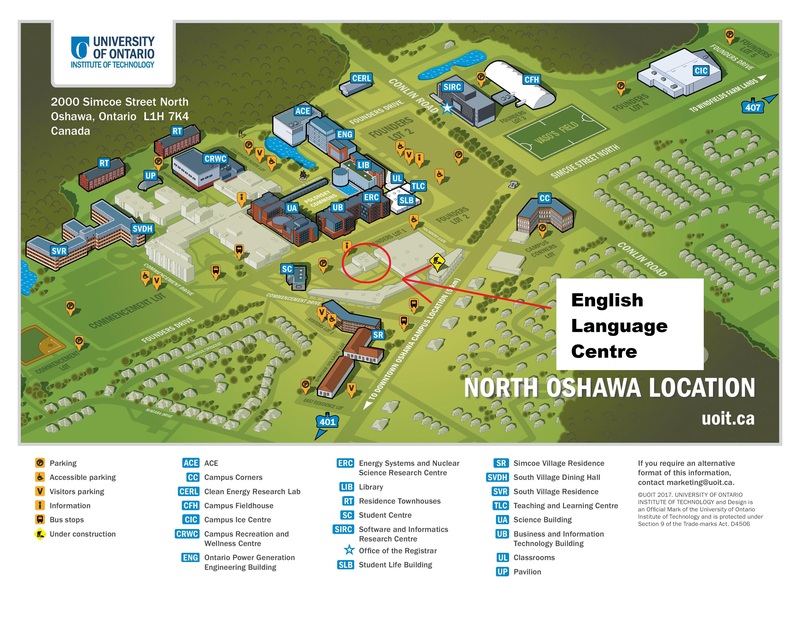 The English Language Centre is located in the J Wing at the University of Ontario Institute of Technology's north Oshawa location. The university is also located less than an hour’s drive away from downtown Toronto, Canada’s largest city. Toronto is one of the world’s most diverse cities with 49 per cent of its population born outside of Canada. This diversity is reflected in the many ethnic neighbourhoods and annual festivals celebrating different cultures. Toronto features world-class shops, sporting venues and restaurants, and is home to events such as the Toronto International Film Festival, Canadian International Auto Show, and Nuit Blanche, an all-night contemporary art event.